Perhaps you have been warned to take care of your body a little more. Maybe you have read an article highlighting all the great nutrients you can get from a plant based diet. Whatever you motive is you have decided to give this lifestyle ago. You are right there are many benefits for considering this kind of diet. So I thought I would share with you some of the ways you can get started. Firsty, it’s a good idea to know exactly what you can and can’t eat. A plant based diet should be quite a simple thing to follow. But of course, there are other factors to consider. 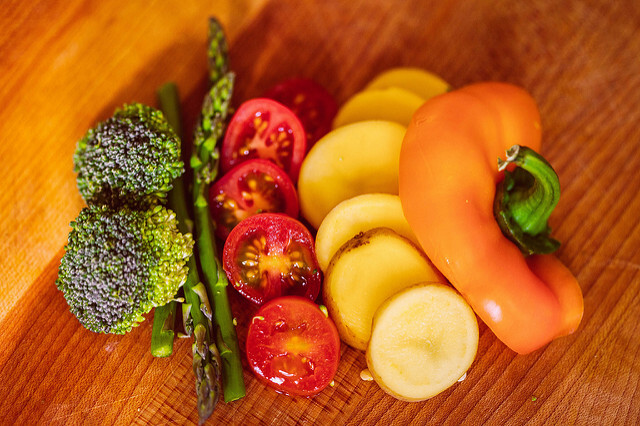 Raw and cooked fruit and vegetables are one way to start. There are many ways you can start things up. You could ease yourself into it or go all out and start as you mean to go on. Remember it might be worth keeping things out of sight so you are not tempted to lapse. What it is worth remembering is that there are plant-based alternatives to some of the well-loved foods like eggs. You can get Hampton Creek's plant based food to help you along. It won’t be easy to stick to any diet and lifestyle choice if you are surrounded by people eating food you no longer want to eat. A great idea is to try and get the whole family involved if you can. This will make cooking easier if you are making just one meal rather then many different ones. It could be great for everyone involved. You will benefit from having the extra support on hand as well. Before you start, it will be worth knowing what your end goal is. Are you changing your diet because you want to lose weight? Are you hoping to improve your general health? Is it something you strongly believe in? This is what will motivate you to keep on going. Remembering your end goal whenever times get tough. It’s great to have the big end goal but don’t forget this can put a huge amount of pressure on yourself. Accepting that this is a gradual process that is not something that will happen overnight is a better way to achieve longterm success. Don’t overcomplicate your meals and diet. Keeping it simple, especially at the beginning, is the best way to keep things going. Trying to make extravagant foods and meals will only add more pressure. It is all about eating good and solid food types. So keep it simple but remember to add as much variety as possible. Finally, if you remember just one thing, it is that this can be a lifestyle choice and not just a diet. If you are going to be making such a big change to your eating habits, then you may want to consider changing your whole lifestyle. This means that you could work on your fitness levels and your mindset. I hope this guide helps you get started.